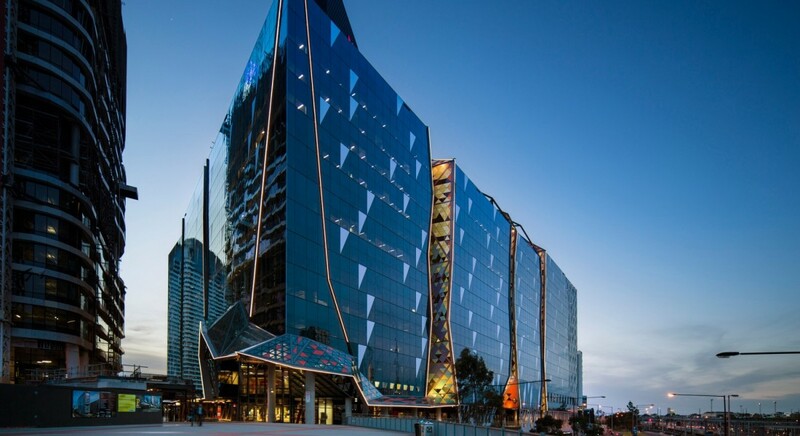 NDYLIGHT was appointed to work with the Interior Design team on the integrated fitout architectural lighting package for NAB at 700 Bourke Street in Docklands. As part of this project NDYLIGHT has developed detailed integrated lighting systems to a wide variety of building areas including a theatre space; client floor with extensive meeting facilities, large seminar room, video conferencing spaces and executive boardroom; ‘winter garden’ office space; and ten levels of typical spaces including team meeting spaces, cafes/kitchens, interfloor stair and meeting rooms. The key focus of the lighting was to integrate the lighting with the architectural and interior design elements of the building with an understanding of not only what the space looks and feels like internally and ultimately how it is used/functions. Another key element of the design was consideration of how the interior spaces are seen from the exterior of the building.